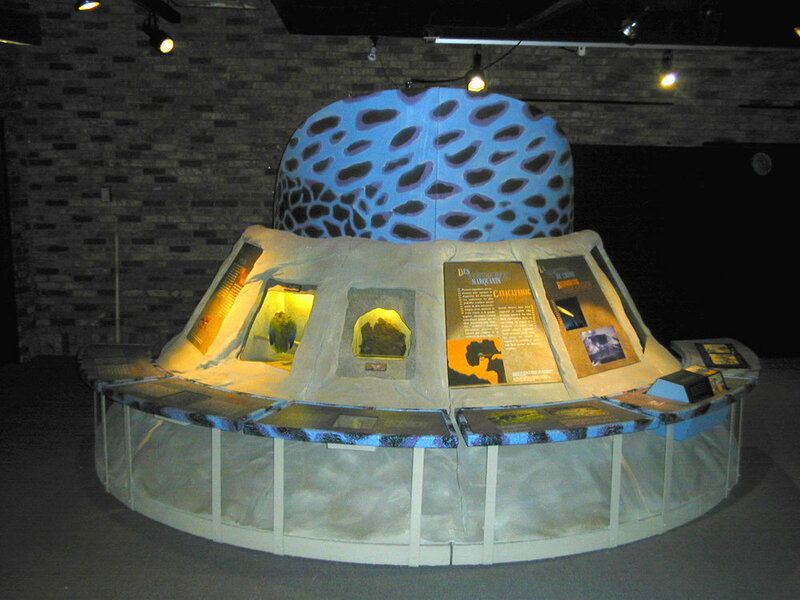 A travelling exhibit produced by the Exhibition Production Centre of the Musée de la nature et des sciences de Sherbrooke, the Montreal Planetarium and the Musée de Paléontologie et de l’Évolution, and made possible in part by the Quebec Ministry of Culture and through a grant from the Museums Assistance Program, Department of Canadian Heritage. 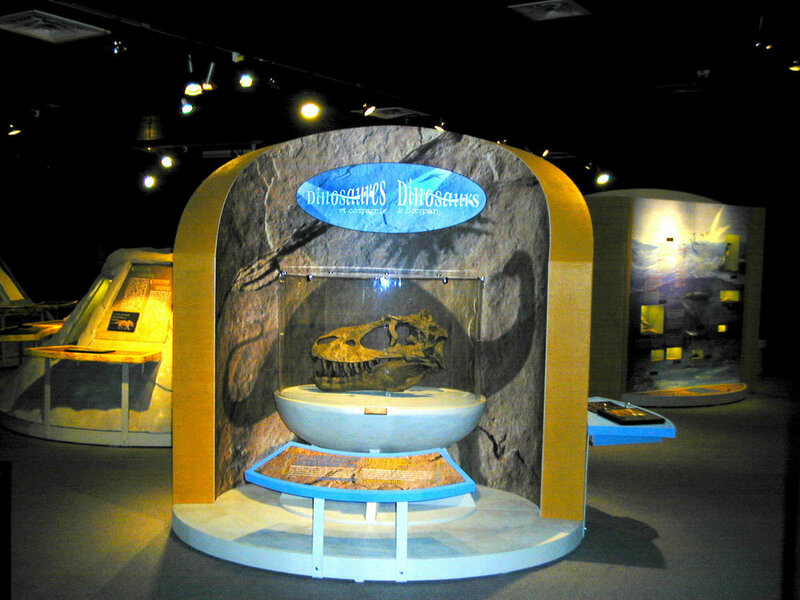 The Galt Museum & Archives presents the family-friendly travelling exhibit “Dinosaurs & Company” this fall, to allow local and area residents to discover the dinosaurs that lived in Alberta over 75 million years ago, their environment, living conditions, diet, and the animals they coexisted with. Dinosaurs existed on earth for 165 million years, from 230 million before present to 65 million BP. This exhibit focuses on the specific time period 75 million BP and on a specific location – what is now Alberta. A series of interactive stations will shed light on theories of their disappearance, and on the scientists who are uncovering this ancient history. There have been a number of major finds recorded in this area, including dinosaur bones and other fossils by George Mercer Dawson and others in 1874 during the Geological Survey of Canada; the Albertosaurus sarcophagus in 1884 by geologist and explorer Joseph Tyrrell [Dinosaur Provicinal Park was created in 1955, and the Tyrrell Museum opened in 1985]; an Edmontonsaurus named in 1917; an extensive nesting site of Hadrosaur [duck-billed] dinosaurs in 1987 by Wendy Sloboda, a young girl from Warner, Alberta [Devil’s Coulee Dinosaur Heritage Museum opened there as a result]; and, in 2009, the Hesperonychus elizabethae - the most diminutive North American carnivore yet: barely the size of a small chicken, with razor sharp, retractable claws. Related exhibits are also planned, including Dinosaur Finds! highlighting the career of southern Alberta paleontologist Wendy Sloboda, in the Lower Level Gallery. Archives Exposed… Dinosaur Country showcases archival photographs throughout the main level meeting rooms. 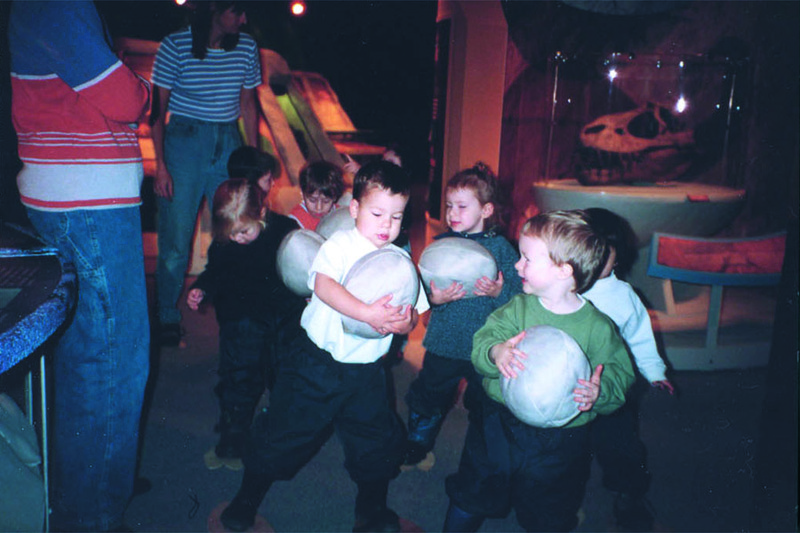 Programs and events reflecting the dinosaur theme will be offered throughout the run of the exhibit, including a schedule of speakers at Café Galt, weekly family activities at Saturdays at 1:00, a special presentation of The Curator Presents… in November and a New Year’s Eve Family Dinosaur Gala. Dinosaurs & Company is a travelling exhibit produced by the Exhibition Production Centre of the Musée de la nature et des sciences de Sherbrooke, the Montreal Planetarium and the Musée de Paléontologie et de l’Évolution, and made possible in part by the Quebec Ministry of Culture and through a grant from the Museums Assistance Program, Department of Canadian Heritage.